The former ‘Quantico’ star opens up about suffering panic attack at her wedding to Nick Jonas when she stopped by ‘Good Morning America’ to promote ‘Isn’t It Romantic?’. Priyanka Chopra suffered a “panic attack” just before she exchanged vows with husband Nick Jonas in December (18). The “Baywatch” star and the “Jealous” hitmaker tied the knot during two ceremonies in Jodhpur, India and now the actress reveals she was overcome with nerves minutes before the first wedding. The couple doubled up with two ceremonies – one Christian and one Hindu – and then hosted a series of receptions and wedding parties, and Priyanka admits she was tired of all the celebrations by the time the last one came around. The newlyweds recently celebrated their nuptials with family and friends in Belmont, North Carolina, where Jonas’ father Kevin grew up and owns a restaurant. The bash on 27 January was headlined by DNCE, the group fronted by Nick’s brother Joe Jonas. 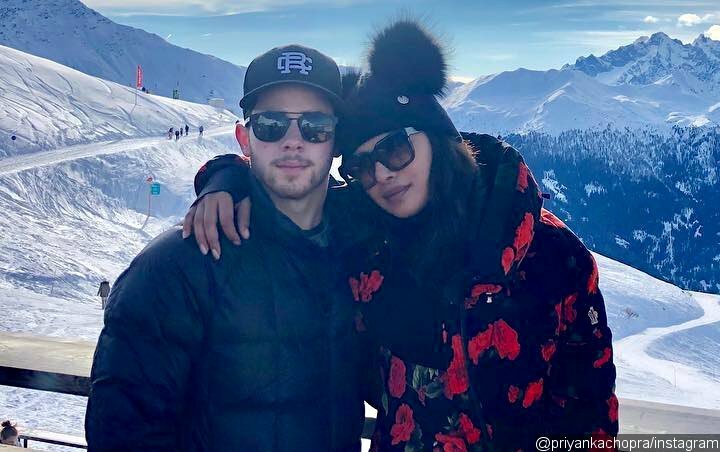 Nick and Priyanka enjoyed a jet-setting honeymoon between the weddings and last month’s party – they spent Christmas in London with Joe’s fiancee Sophie Turner and her family, before heading to the Swiss Alps, where they rang in 2019 with loved ones, and then flew to the Caribbean.